PhD. Thesis submitted in partial fulfillment of the requirements for the final defense of degree of Doctor of Philosophy in Computer Science. ABSTRACT: This research documents the creation and application of the first complete computer aided design system for color appearance. Although computer graphics and computer aided design are commonly used for geometric shape design, there are few computer tools for the design of color appearance and surface finish. 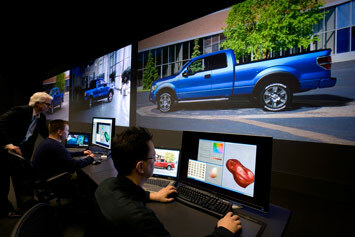 Advances in computer graphics technology make it possible to create color appearance design tools analogous to those available for object and surface design. In this thesis, the fundamental components of computer aided geometric design (CAD) are applied to computer aided color appearance design (CACAD) including visualization, design, analysis/optimization, and scanning/prototyping tools. The problem domain was metallic and pearlescent automotive finishes, but the system architecture could be applied to other problems in color appearance design. We develop a CACAD program for designing hypothetical goniochromatic colors by creating a design interface for a model of appearance. This interface controls all of the aspects of a metallic surface finish relevant to the designer including gloss and color shift. 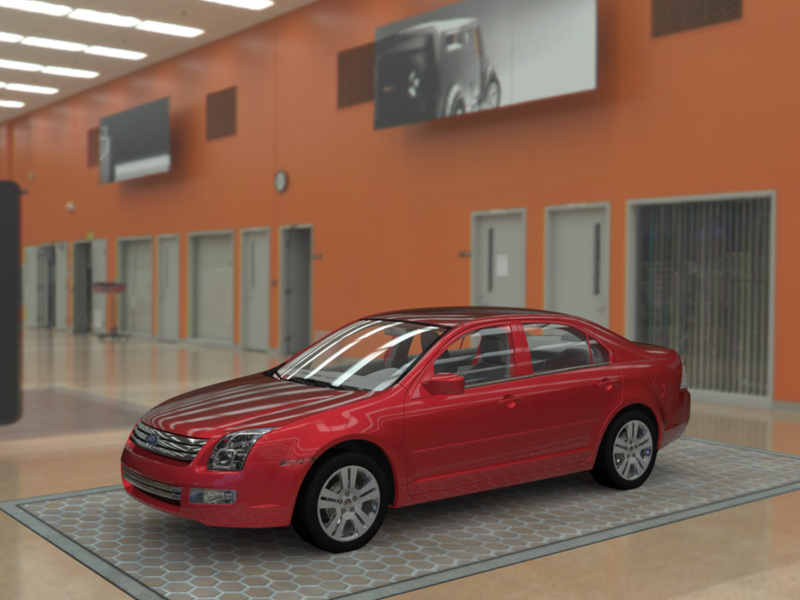 We suggest a rendering engine that combines the interactive control of a reflection model with the complex real-time lighting provided by an environment map. This allows the user to interactive design a reflection model and see the changes immediately on a fully lit 3D object. Creative design interfaces are proposed that allow color stylists to take advantage of their training in the fashion, art, and other design industries. We illustrate the power of creative BRDF design interfaces by creating a virtual mood board that allows direct selection of the reflection model parameters from pictures, an image based BRDF tweaker for adjusting color appearance directly on a 3D object, and a sketch based design interface that can work with hand drawn concept art. We study the color mismatches that result from geometric misalignment and why they are accentuated by the use of metallic and pearlescent paints with goniochromatic properties. We propose a metric for determining when the color difference is large enough for the misalignment to become apparent and illustrate a technique for selecting a paint that matches the adjacent part and creates the illusion of geometric continuity even though the two parts are misaligned. Finally, the CACAD system was connected to a paint formulation system to formulate and generate physical samples of color and surface finish designs in the same fashion that 3D printers can fabricate physical objects from CAD specifications. A series of experiments demonstrate the CACAD system’s maturity by showing that it is effective at designing and formulating paints in a wide variety of real world situations.